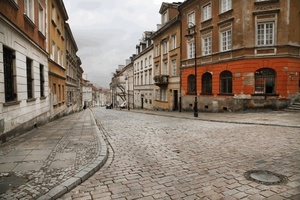 East West Tours offer a large selection of escorted tours to Poland by the most reliable local Polish tour operators. Small groups, superior class hotels, exciting sightseeing by comfortable motorcoaches represent an exceptional value and convenience. Poland is the largest of the East European countries located in the very heart of Europe, a member of European Union since 2004. The country boasts rich historical and cultural heritage, beautiful nature and exciting European atmosphere of modern times. The most famous Polish personalities are Fryderyk Chopin, Pope John Paul II, Maria Skłodowska-Curie, and Nicolaus Copernicus. With the size comparable to Italy and Germany, and the population of about 40 million it is one of the most influential and progressive countries in Eastern Europe. Poland’s historical and architectural scene, along with its remarkable nature of woods, rivers, lakes and mountains contributed to country’s rising popularity among tourists from all over the world. The reasons to visit Poland are abundant. Royal Krakow with its well preserved Gothic architecture, mixed with splendid samples of Renaissance, Baroque and Art Nouveau, amazing medieval castles, ancient fortresses of the Teutonic Knights, skillfully crafted wooden churches, and the food that your grandmother used to cook. This one-of-a-kind more than two-week-long program offers an in depth exploration of Poland with its rich heritage, fascinating history and distinctive traditions. It takes you through different geographic regions and introduces to their unique lifestyle and cuisine, UNESCO World Heritage sites and other experiences. Max. 25 people. Warsaw - Krakow - Zakopane - Wroclaw - Rydzyna- Torun - Gdansk - Gdynia - Sopot - Malbork - Olsztyn - Warsaw. All Poland in two weeks with amazing sightseeing, meals and unique experiences. Warsaw - Czestochowa - Zakopane - Auschwitz - Krakow - Wieliczka Salt Mine - Lowicz - Torun - Gdansk - Malbork - Sopot - Warsaw. Everything worth exploring is included in this tour of Poland that takes you through most of the country and introduces you to Poland's rich history and culture. Magical Poland. The most famous and interesting places in our country. An absolute must if you want a thorough flexible introduction to Poland, its history, culture and the unparalleled spirit. Mar 01, 2019 - Oct 31, 2019 Starts every Friday. This program and its starting dates can be customized to match your needs and preferences. If you have seven days to explore our country, we would like to invite you to discover the treasures of three Polish pearls – Warsaw, Krakow and Wroclaw.